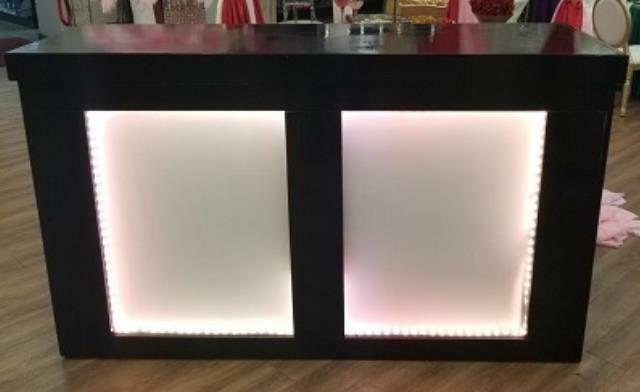 This sleek bar with modern LED lights will create a stir at your next event! Each plexiglass front measures 26" wide and 33" high. * Please call us for any questions on our bar black led rentals in New Orleans, Metairie, Kenner LA and surrounding NOLA metro area.